Many may be acquainted with Jean-Antoine Houdon’s (1741-!828) life size monument of George Washington (1732-1799) in the Rotunda of the Virginia State Capital. But who knew about a full length sculpture of Washington by Antonio Canova. (1757-1822)? The subject of the exhibiton at the Frick Collection in New York. 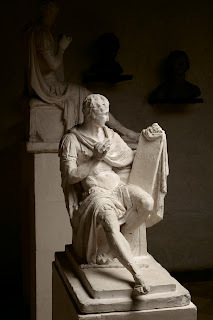 The original plaster of 1818 has been lent by the Glypsotheca E Museo Antonio Canova in Possagano, Italy. In 1785 Houdon came to the United States to execute the commission for the Virginia Assembly and Washington sat for him. During that period Houdon made a bust that remained at Mount Vernon and was displayed in his study. 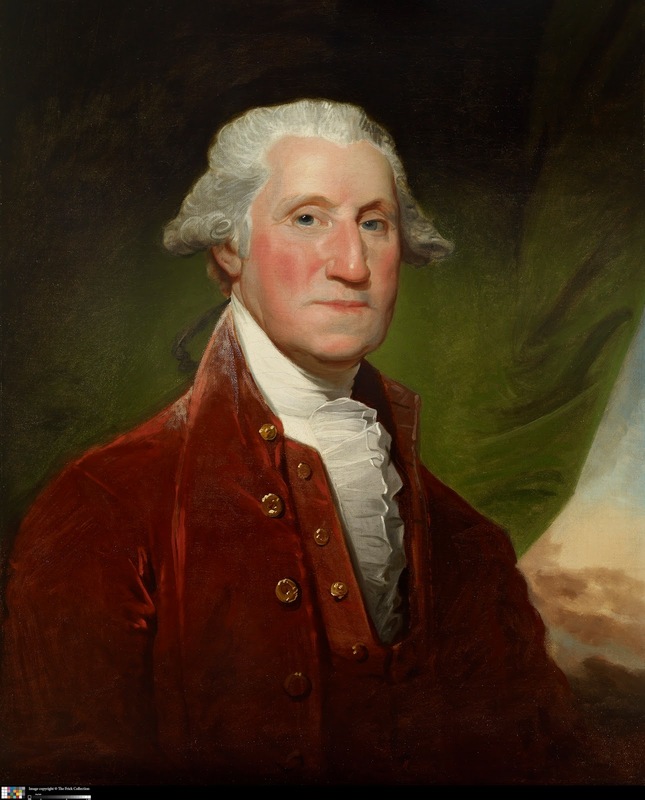 It is one of the most important portraits of Washington created from life. 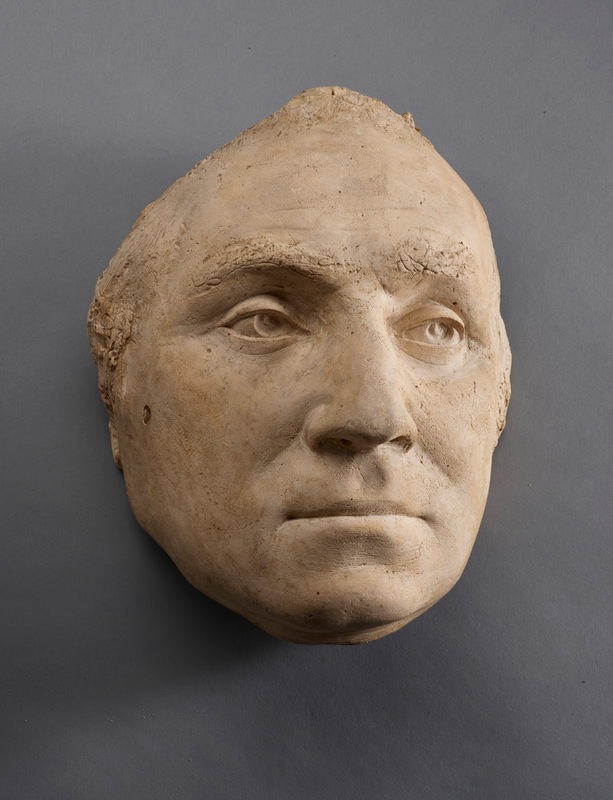 The Morgan Library & Museum lent their life mask of Washington to the exhibition. 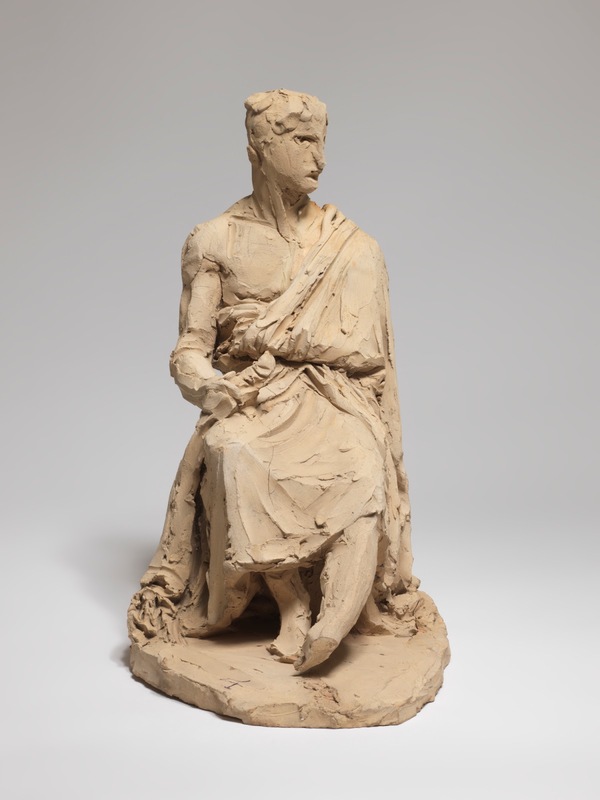 In 1816 the North Carolina legislature decided that they wanted an artist equally renowned as Houdon to create a full-length sculpture of the First President. It was decided that it had to be done by the hand of a European as they also believed the best marble could be found in Europe. After much discussion and advice Canova was chosen. Thomas Jefferson (1743-1826) himself not only suggested the sculptor but also recommended a depiction in classical Roman garb as the right symbolism for such a leader. 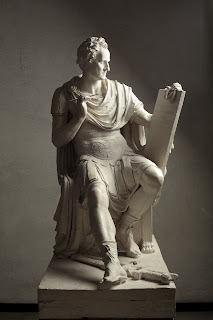 Though Canova noted how busy he was, he wrote that, because of his admiration for the leader he called “the immortal Washington”, he would agree to the commission for delivery in three years. Washington was likened to an ancient republican hero Lucius Quinctius Cincinnatus who won a war against a Roman dictator and then stepped down and returned to his farm. 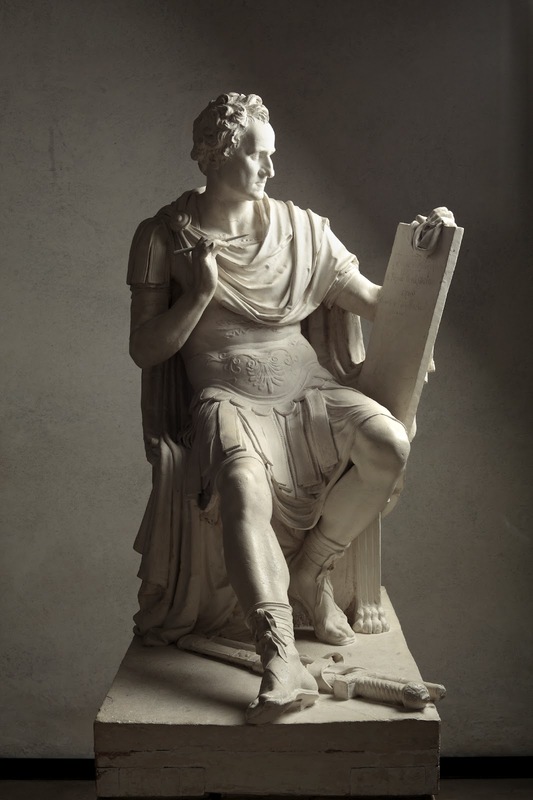 Canova decided, therefore, that he would portray Washington seated and drafting his farewell address to the nation. 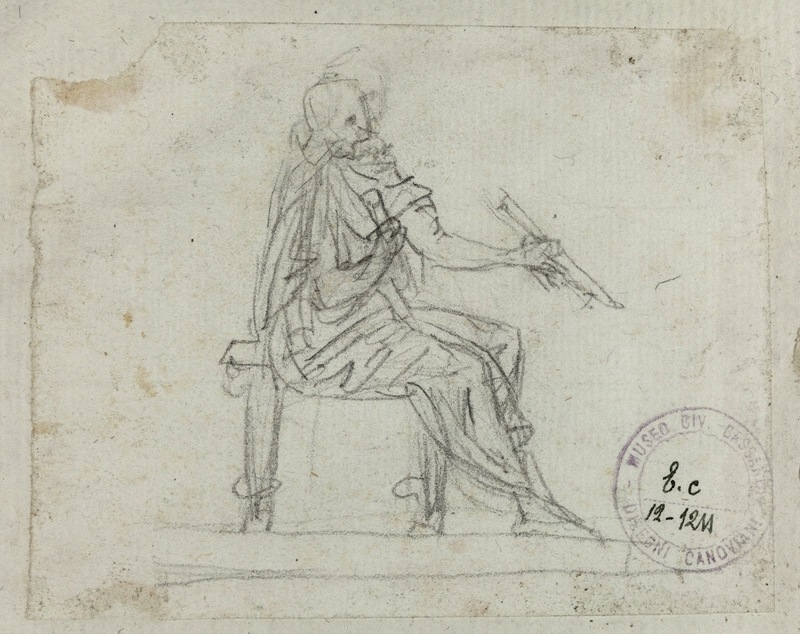 Here is his initial concept for the piece done in terracotta in 1817. It was lent by the Museo di Roma. The marble was successfully delivered in 1821 for the Rotunda in the Raleigh, North Carolina State House but in 1831 it was destroyed by fire. The life size model made in plaster from 1818 is as close as we can come to knowing what the final marble looked like. The Frick has fittingly put it in their rotunda referencing the original installation in Raleigh. A small modello done in plaster from later that year is much closer to the final work and was lalso lent by the Glypsotheca. In Possagano. 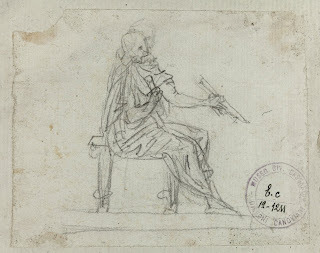 Small pencil sketches from the Museo Civico, Basano del Grappa in Bassano associated with the composition are also included. Other likenesses of our First President are exhibited such as the Frick owns a Gilbert Stuart painting of Washington which is naturally in the show. The exhibition was organized by Xavier F. Salomon, the Frick’s Peter Sharp Chief Curator. Salomon together with Italian colleagues Guido Beltramini and Mario Guderzo reconstructed every aspect of the commission, all but the original marble. The profusely illustrated book that accompanies the exhibition is like a doctoral thesis piecing together the entire background of the work, even including correspondence with Jefferson. One of the fascinating tidbits they found is that Canova had the story of Washington’s life read aloud to him while he was working. The show opens May 23 and closes on September 23.